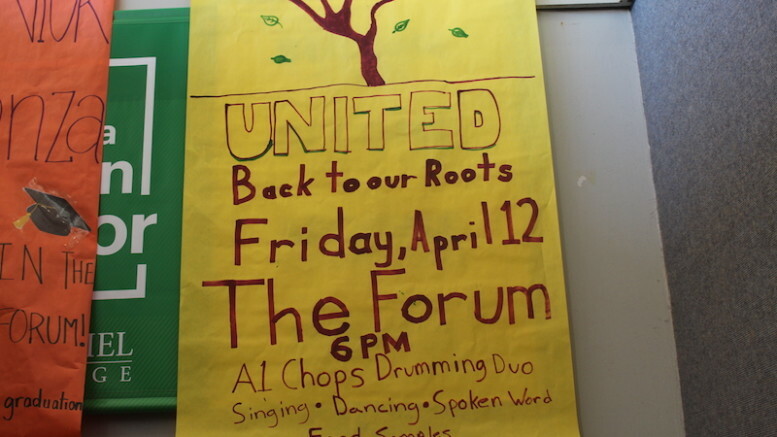 This Friday, April 12, the annual United event will be taking place once more. United is a showcase of the cultural and ethnic organizations of the campus, this year comprised of Africa’s Legacy, American Sign Language Club, Art Club, Asian Community Coalition, Black Student Union, Hispanic Latinx Alliance, League of United Latin American Citizens, Omega Psi Phi Fraternity, Students of Caribbean Ancestry, and Voices of Praise. This year’s event will be larger than ever. There will be a variety of performances including singing, dancing, spoken word, and even martial arts demonstrations. The final performance will be from guest A1 Chops, a drumming duo from Baltimore. The various organizations will also present on the cultures they represent and samples of many different foods will be available. Junior Lucero Espinal, one of the organizers of United, is excited for the event. She said she thinks that it holds a lot of potential. “It was a great learning experience meeting with organizations I was unfamiliar with, like Voices of Praise, and giving smaller groups like American Sign Language Club a platform to talk about their organization,” she said. This year, planning for the event began in the fall semester, which allowed the organizations to expand their offerings and bring in a guest performance. The event will be held in the Forum from 6 to 8:30 p.m. on April 12. It is free and all McDaniel students are invited to attend and enjoy the music, dancing, food, and more!